In the marriage and family therapy (MFT) field, minimal attention has been given to in-session therapy processes that influence clients’ decisions to persist in therapy or prematurely discontinue therapy. To prevent premature discontinuation, therapists need a better understanding of why clients leave treatment before completing it. In this grounded theory study, we interviewed 19 clients of MFTs to examine how they made decisions about therapy persistence or discontinuation. 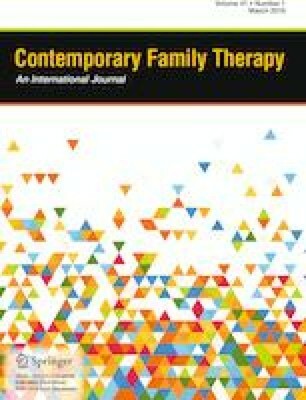 Factors that impacted participants’ decision to discontinue therapy were: client motivation, the therapeutic alliance, therapy productiveness, including the therapist’s understanding of the problem, the therapist’s frame of the problem, therapy pacing, and neutrality in relational therapy. Results support the importance of common factors in facilitating therapeutic change.